Asphalt Or Chip Paving: Which Is Best For Paving In Alberta? When you drive down a snowy, Alberta road, chances are you are keeping an eye out for other drivers. But have you ever thought about the surface under your wheels? Do you know what it is made of, and why that material was selected? Not all Alberta roads are paved with the same material. Safety, amount of traffic, and cost are factors that help determine what paving material to choose. The two common materials used are asphalt and chip sealing. Each has their own unique features that make them useful for paving projects in Alberta. 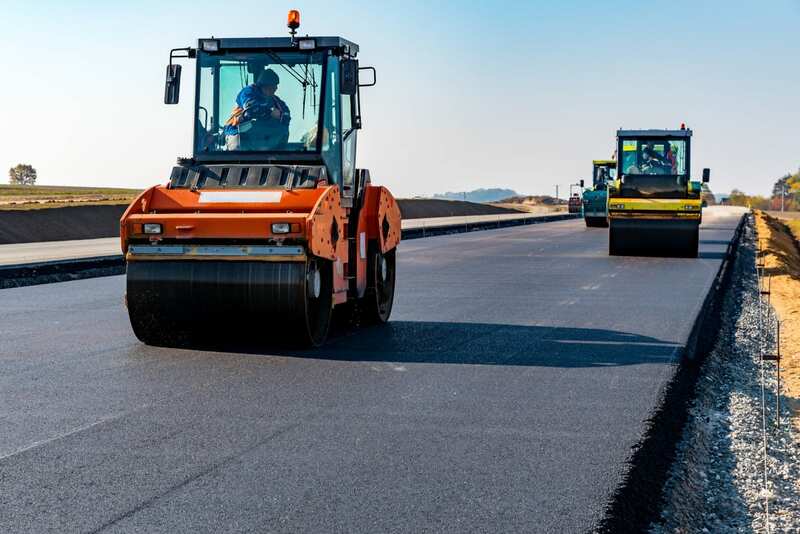 In this post, we will review the benefits of asphalt and chip paving, to help you decide which material will be best for your next paving project. It’s sticky, it’s black, and it’s a form of petroleum. It’s asphalt. And it is a common material used for paving city roads, highways, and driveways. Asphalt is a combination of petroleum and rock. After it is heated, the asphalt is placed into a path along the future roadway or driveway. A compactor later smooths out the asphalt to the proper thickness. Because it is smooth and provides more contact with tires, asphalt offers a safe surface for driving. This is especially important in the winter when cars and trucks have a heavier tire tread. Instead of cracking, asphalt can shift and move when heavier loads, such as transport trucks, travel across it. Alberta is prone to freeze-thaw cycles. These cause damage through continued expansion and contraction as temperatures rise and fall throughout the winter. Asphalt is less prone to the effects of freezing then thawing. The cold does not affect the integrity of asphalt, making it more durable during harsh Alberta winters. The salt that is placed on the roads during snowy and icy conditions does not cause asphalt to deteriorate to any great degree. Due to its dark colour, asphalt absorbs more heat from the sun. This increases the rate of melting of snow and ice on the road. Chip sealing is another way of applying a new roadway layer on top of an existing one. The process of chip sealing involves a machine called an asphalt distributor that applies a thin layer of asphalt, followed by a layer of smaller aggregates, called chips. Once the application of the layers is complete, a roller is used to make sure that the layers adhere to each other. Why choose chip sealing for your driveway, parking lot or road? It allows you to build and maintain roads at a lower cost. Because of its rougher surface, chip sealing offers better skid resistance and winter traction, which is beneficial during episodes of black ice and wet roads. It provides a moisture barrier for the underlying pavement to protect against water and melting snow attempting to seep through. For safety, chip sealing offers a more reflective surface for driving at night plus an anti-glare surface during times of wet snow. However, how you clear a chip-sealed road or driveway during the winter can affect its integrity. That rougher surface, which is great for traction, is not good for snow removal with a plow. That type of equipment can damage the surface if done improperly. However, you should be fine using a shovel or snow blower. Which Will You Pick For Your Paving Project? Chip seal or asphalt, both materials have their own unique benefits. Chip seal, while it does cost less is great for rough back roads with less traffic, but more ice. Asphalt costs more but will last longer and is designed for roads with heavier usage. If you still are not sure which is best your project, give the expert paving contractors at Ram Paving Ltd a call. Our job is to help you make the best choices for your paving project.